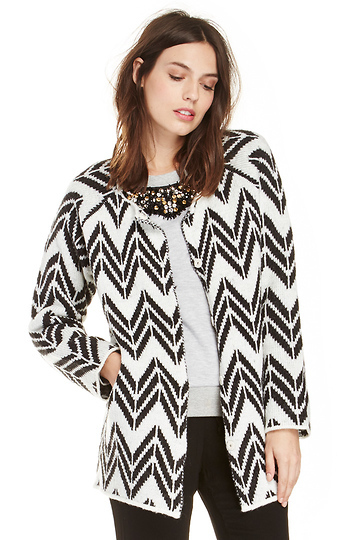 You'll make a lasting impression in our Zig Zag Cardigan by JOA. this oversized sweater features concealed snap button closure, long sleeves, and side pockets. Stylist Tip: Add a red tee for a pop of color. Length: 28 in. Bust and Waist: free. Sleeve: 27 in.